Happy Sunday once again. It’s a snowy one here but a good day for CBC podcasts and to cook up a pot of Kitchery. I am honestly surprised I hadn’t shared this recipe with you before. For the yogis out there, they’d know it, especially if you’ve been to practice in India. 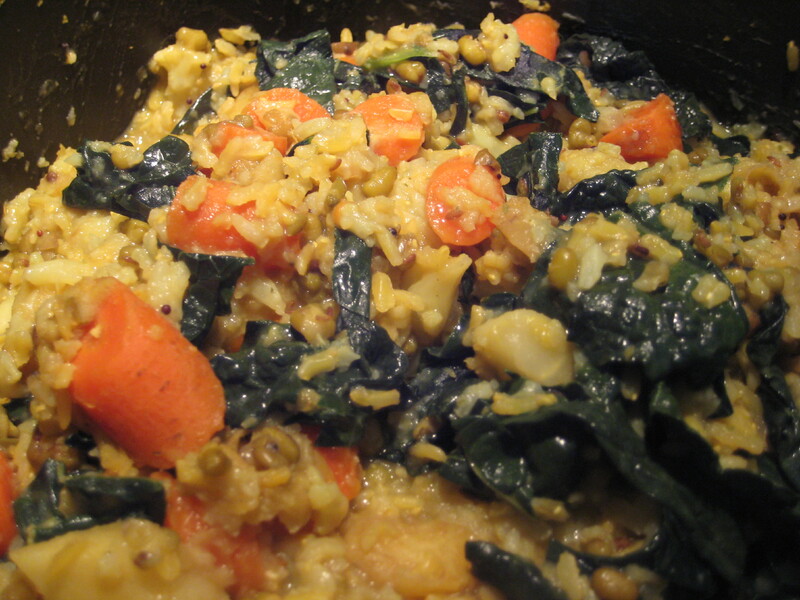 Kitchery is a very basic meal of ghee, mung beans, brown rice and herbs. It is a staple for doing panchakarma which is an ayurvedic whole body cleanse. And when I say whole body, I mean from the nasal passages to bowel to skin. It is quite intense and meant to balance. During the cleanse (about a week or so) you eat nourishing and very easily digested foods, namely kitchery. I’ve talked about a mono-diet on this blog before and it’s my experience that it is a good way to stick to healthful living. Cooking a one pot soup or quinoa salad and eating it every day for lunch or dinner ensures you are eating well and it is just so convenient when you are busy, which most of us are. Last week was an insanely busy week of work with ordered in lunches and dinner events which didn’t end on the weekend with two more dinner outings. Fun but I am finished with eating out for a bit ;). A pot of kitchery will do the trick this week to balance body and mind. I like to add the vegetables to the kitchery instead of steaming them on the side, which is quite normal. One pot stop. You can add whatever vegetables you like, I grabbed what was at the market yesterday. I add asafoetida to this recipe and to some Indian dishes when cooking without onions and garlic. If you read this blog often you’ll know that onions and garlic are not usually considered a calming (sattvic food), so when cleansing, we eliminate them. 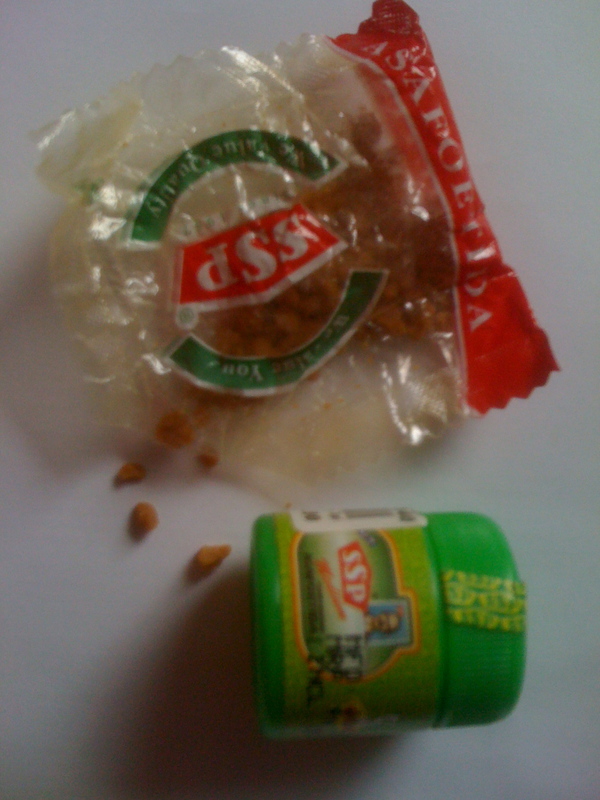 Asafoetida is a herb used in India and some Middle Eastern countries and known to support digestion. It stinks so bad though, I keep mine double zip-locked! You only need the smallest of a pinch to get the flavour and benefit. If you don’t have it, no worries, but look for it in your Indian grocery. Heat the ghee in a soup pot, add the cumin, coriander and mustard seeds, the cardamom and ginger. Stir until they become aromatic, a couple of minutes. Add the mung beans, rice, water, salt, veggie stock, turmeric and asafoetida. Bring to a boil, then let simmer uncovered for about 15 minutes. Add the veggies, except for the kale, cook stirring now and then, for 30 minutes. The rice and mung beans should be softening by now and water absorbing. Add the kale, cook covered until the rest of the water is absorbed and kale cooked, about 15 minutes. You may need to add a bit more water, just keep an eye on it. So happy you are trying this Dani! Not sure about a crockpot?? I’ve never used one. Depending on how fast it cooks, the veg could be a bit over cooked. The rice and beans, probably okay. Go for it and let me know!